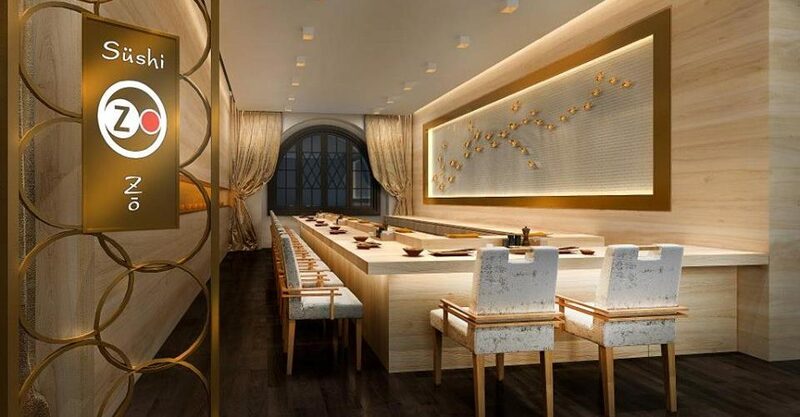 Award-Winning Sushi: After finding success in Tokyo, Bangkok, New York and Los Angeles, Sushi Zo is finally bringing its exclusive, Michelin-starred Omakase concept to Hong Kong’s artsy Tai Kwun district. Look & Feel: Interiors at Sushi Zo could be described as traditional, minimalist Japanese done with style. There are only 14 seats entered around a main sushi bar area so guests have a front-row view of the chefs in action. There’s plenty of clean lines, light woods, earthy tones – and a bit of fancy metallic artwork and drapery for a bit of punch. On the Menu: Expect sushi, but more exclusive than you’ve ever had before. You’ll leave your stomach in the chefs’ capable hands as you work your way through an artistic, sumptuous 18-course omakase menu. The key here is produce. Premium, seasonal ingredients are flown in daily direct from Japan, all of which are handled very delicately in the kitchen so that you get the best, freshest flavors while chowing down. Great For: Exclusive celebratory occasions, or cinching that big business deal. FYI: At the adjacent Gishiki Lounge, mixologist Billy Lau mixes up serious craft cocktails, and later in the night, you’ll find DJs spinning sets.